Outdoor sitting is a best way to get yourself healthy and is also a way to say bye your routine worries and metal stresses as outdoor open natural environments have ever best healing powers and always go friendly to human nature! 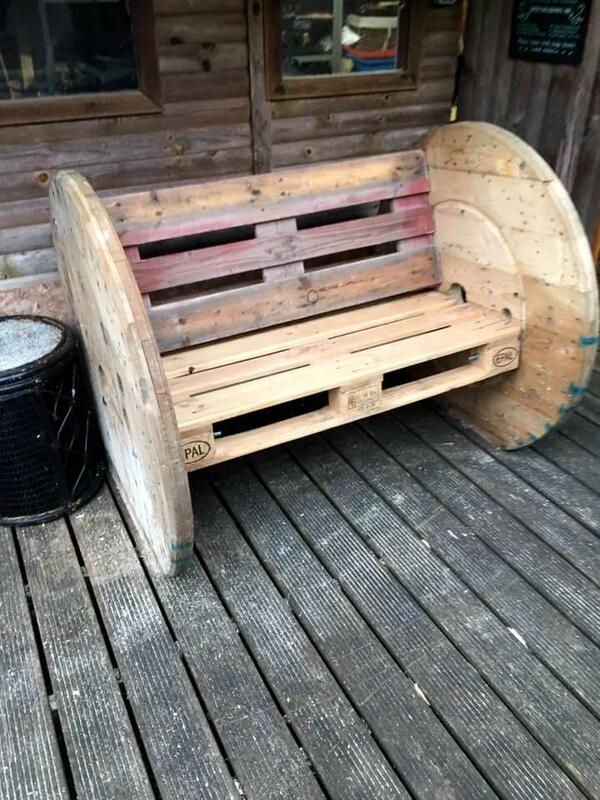 Gather the old and retired types of woods lying around and recycle them for building better outdoor wood furniture like this DIY pallet and spool wheel bench, only two pallet boards and 2 removed spool wheels would be enough to clone sizzling wooden model of bench, would be great friend while intending to see nature closely! Can be added to front porch area to catch those lovely naturally occurring outdoor scenes and it can be placed in your garden to enjoy daydreaming and book reading! 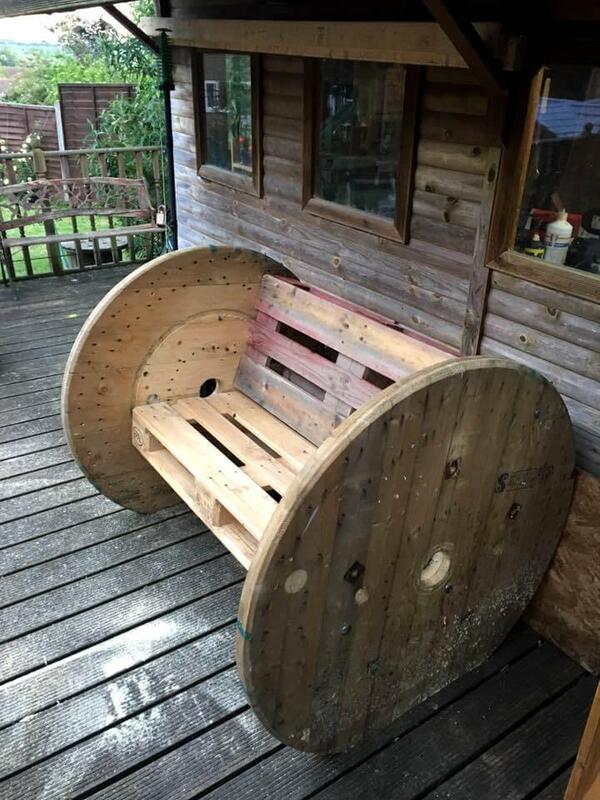 Both pallet boards have been gathered in L-shape to give the perfect and lasting berth and backrest while spools wheels have been added as artistic legs! Bottom sides of wheels have been flat by giving some cuts and it makes the bench stand stably! 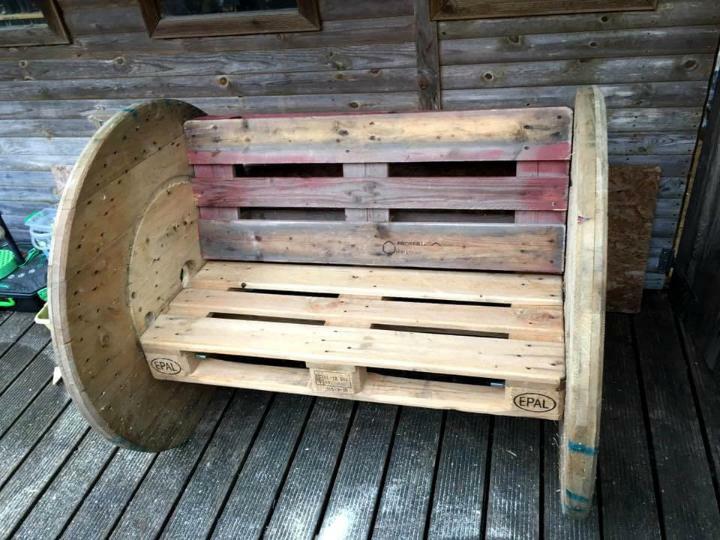 Checkout here the old woods packed in new creative way, giving an ever functional and fantastic output of a wooden bench, all ready to enhance the visual and sitting space of your outdoors! Grab the bigger old cable spools and separated the wheels apart from them, they are to serve as beautiful round legs and sides of the bench here as you can see! Trim down the pallet boards to use directly for berth and backrest installation! Target the pallet cubes for attachments as they are thick enough to hold those heavy duty long bolts inside without any crack or breakage! 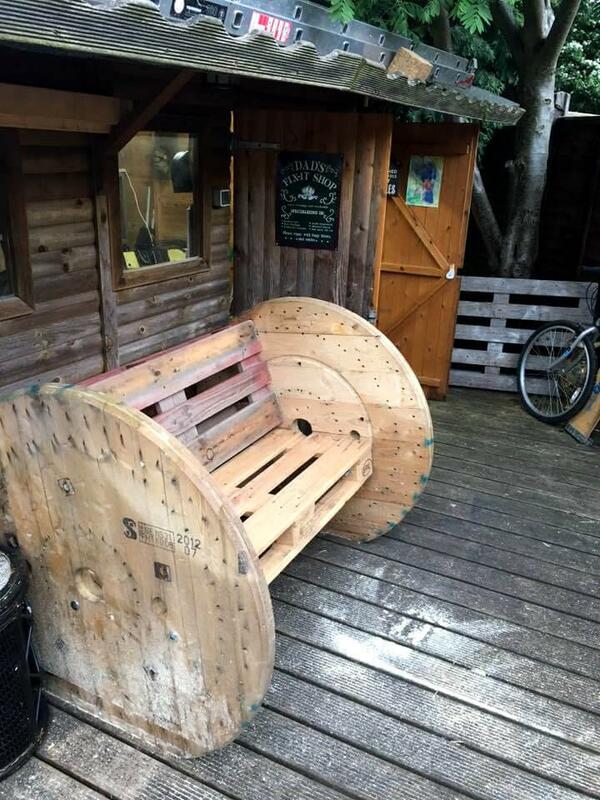 Use the sizes of pallet boards that would be all covered with spool wheel sides! Spool wheel sizes can also be varied! Final addition of cushion or highly dense foam mattress will instantly turn it into a super comfortable sofa which would be all pleasure to sit! Using paint, one can also spruce up the overall visual of this wooden bench!